Recently, BE Smart held its first Facebook chat. 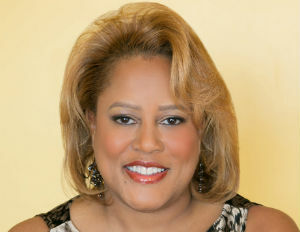 Our special guest, Gwen Thomas, an expert in educating your children–or yourself–strategically and the author of The Parent’s Smart Guide to Sending Your Kids to College Without Going Broke! Full of scholarship resources and tons of information useful to both parents and students, The Parent’s Smart Guide includes chapters on the cost of education, college readiness, the honors advantage, and much more. Scholarship money is there, but it takes sustained effort (read: hard work) to find it. Don’t be afraid to be a Tiger Mom. If your kid’s motivation is flagging, provide the discipline and vision until he catches it. Avoid or minimize debt–shift your mindset from loans to scholarships. Start early (almost always good advice). Her own son garnered more than $500,000 in scholarship money and traveled to 40 countries without having to spend his own money to get there. A few mothers spoke candidly about the difficulty of motivating their sons to stay the course. Thomas noted that with her own son she had to “be a parentâ€ and establish boundaries. She suggested outsourcing the problem by tapping fraternity brothers–she specifically recommends the mentoring programs of Alpha and Kappa fraternities–who could act as mentors and provide examples of success and the payoff of persistence. Sometimes young people don’t connect the dots between what they may want (a successful life; an interesting, stimulating professional life that makes a difference) and what it takes to get there (studying hard to make good grades in school, college, and sometimes graduate school). Thomas suggests explicitly connecting the dots for them so they can see the reward at the end for all the hard work. What about those who don’t have time to look for scholarships? Thomas recommends stopping the extra activities that take up time in your life–and devoting that time instead to searching for scholarships and grants. It’s a matter of prioritizing. 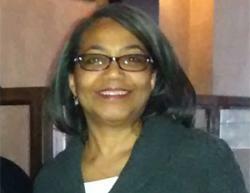 For more about Gwen Thomas, explore her Fresh Perspective Seminars site which describes seminars and workshops she gives on scholarships and raising children with conviction: http://www.freshperspectivesseminars.org/.